There’s no doubting there is a design trend toward using typography. We have seen all sorts of things that celebrate print, from cushions and wall art to toys. Needless to say, when I spotted some magnets that combined typography, photography, New York City and the alphabet I knew that this was no ordinary ABC fridge set. 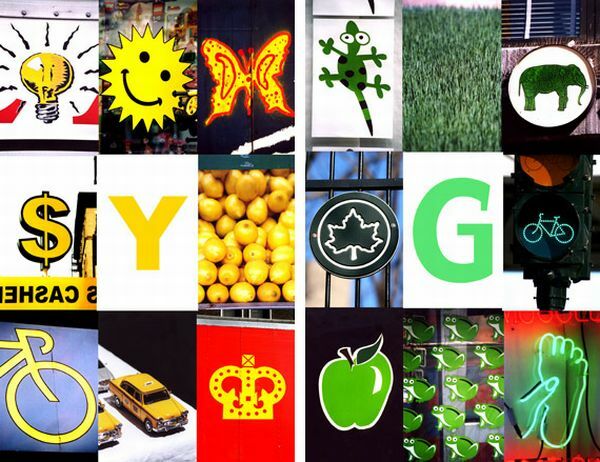 Grégoire Ganter, a photographer, first created an ‘alphabet’ for his daughter Lea in 2003. Ganter captures individual letters and images along his travels and assembles them into themed images. Although New York City features heavily in his collages, there are also lots of images from Ganter’s travels throughout the United States and Europe. Currently there are fourteen different alphabet prints to choose from, with each design limited to one hundred prints. 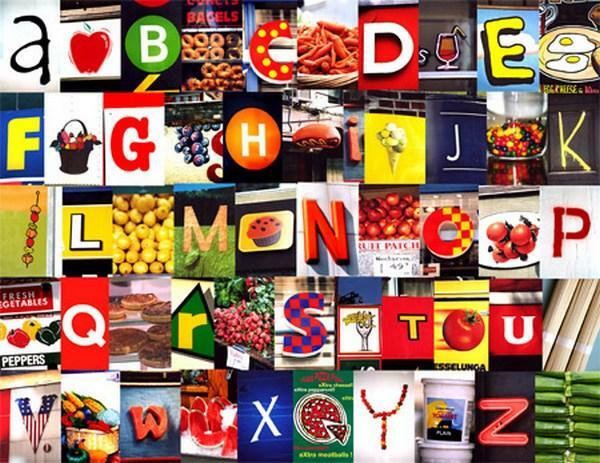 So whether it is a for apple, alligator, anchor or airplane, or b for boy, butterfly, bicycle or bagel, you can choose an alphabet ‘theme’ to suit. The pieces are bright, chaotic and compelling – a great addition to the modern nursery. Also available are single letters, colours, French alphabets and the aforementioned New York City magnets – I am quite enjoying all the bits on my fridge being held up by ‘F for the Flatiron building’, ‘K for Knishes’ and ‘T for Times Square’. 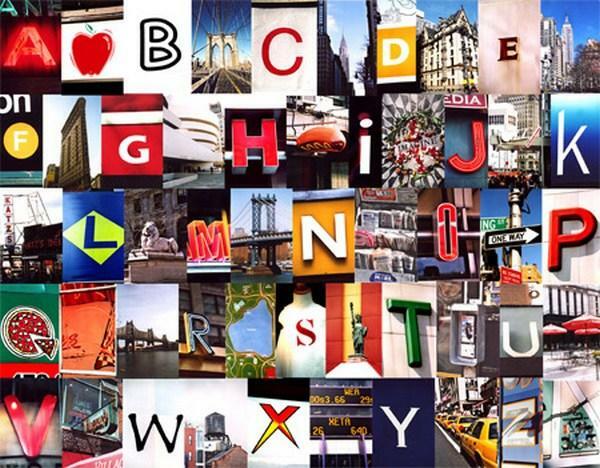 Prints are US$200 each and New York alphabet magnet sets are US$17 each. Shipping to Australia is available.